MDW is just around the corner, and you’re behind on your bikini diet. Aren’t we all. 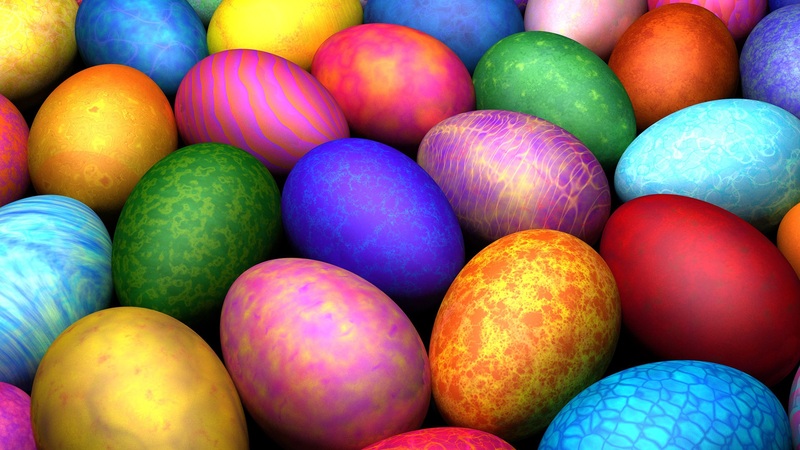 With Easter coming up this weekend, the thought of the fattening foods your Grandma will be serving at Easter brunch are starting to give you nightmares. Put down that croissant – here are some festive options that will also keep you on track. 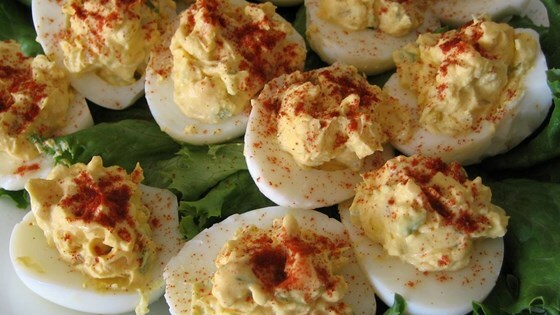 Deviled Eggs – The classic Easter appetizer is packed with protein and super delicious. Directions: Slice the eggs in half lengthwise and remove the yolks. Mash the yolks with a fork in a bowl, stir in mayo, sugar, vinegar, mustard, salt, onion and celery. Stuff the egg whites with the mixture, and sprinkle with paprika. Refrigerate until serving. 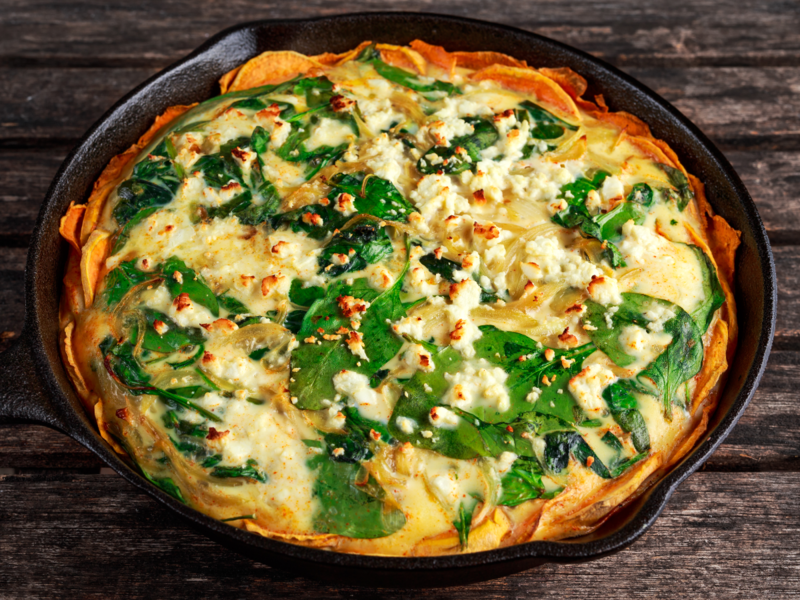 Spinach & Feta Quiche with Sweet Potato Crust – As savory as any quiche – but without the overload of carbs! Directions – Coat a 9 inch pie plate with cooking spray. Layer in the sweet potatoes. Coat the sweet potatoes with more cooking spray and bake for 20 minutes at 350 degrees. Add oil and onion to a skillet over medium heat and saute for 3 minutes. Add spinach and saute for an additonial 3 minutes. Remove from heat and cool. Combine the milk and the remaining ingredients besides the feta in a bowl and whisk. Pour the spinach mixture over the crust, followed by the egg mixture. Sprinkle with feta and continue baking at 375 degrees for 35 minutes. 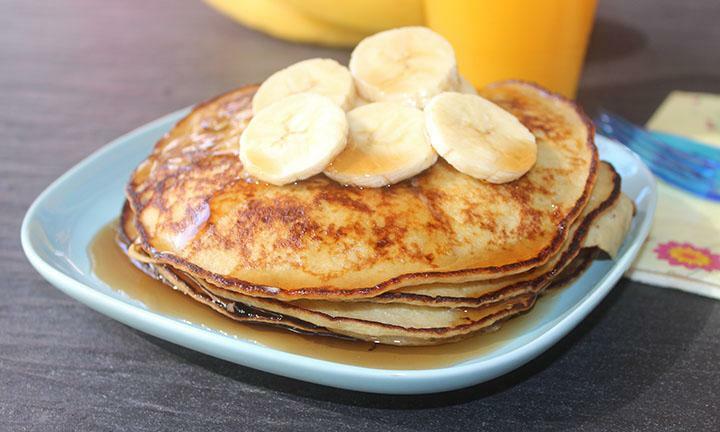 Banana Pancakes – Finally, pancakes without the guilt! Directions – Mash the banana with a fork until the banana is at a pudding like consistency. Whisk the eggs together in a separate bowl. Pour the eggs over the banana and mix together. Cook on the stove as if it were a regular pancake! Feel free to add any toppings. 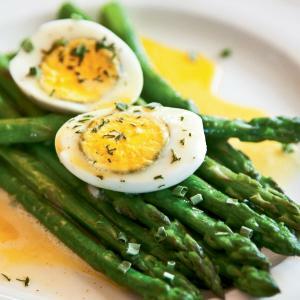 Asparagus Salad with Eggs and Hollandaise– Who needs Eggs Benny? Protein & greens never tasted so good! Directions – Saute the asparagus with olive oil on a skillet over medium heat. Add dill, parsley, and cayenne pepper. Cook for one minute. Remove from heat and set aside. Cut the 4 eggs in half length wise. Plate the asparagus and place eggs on top. Heat Hollandaise sauce and pour sauce over the eggs and asparagus. Garnish with freshly chopped chives and serve. 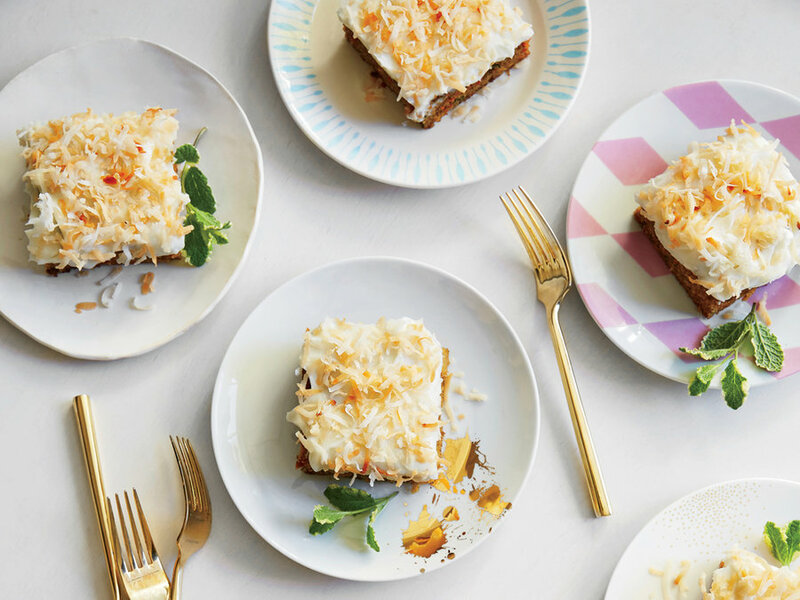 Carrot Zucchini Cake with Coconut Cream Cheese – Who said dessert was cheating? Directions – Preheat Oven to 350 degrees. Combine sugars, oil and eggs in a bowl and whisk. Stir the carrot, zucchini, and pineapple into the sugar mixture. Add in flour. Scoop the batter into a 13×9 baking pan coated with cooking spray. Bake for 33 minutes. For the frosting, combine the cream cheese and butter into bowl and beat with a mixer until smooth. Add the powdered sugar and beat until smooth. Spread over the cake and sprinkle the coconut flakes on top. 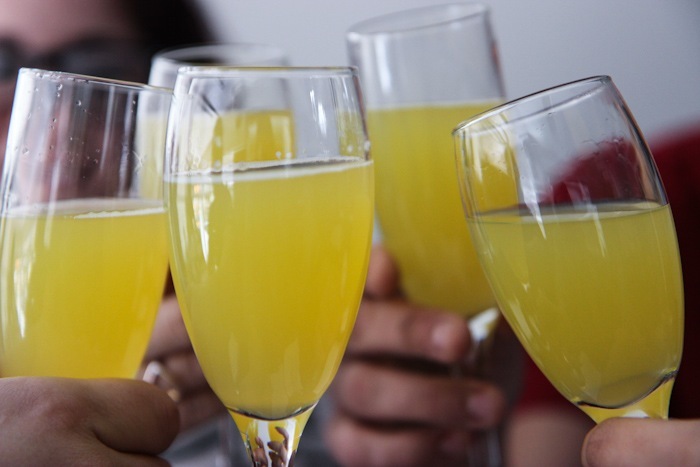 Don’t forget the mimosas! Try our ERA Organic Prosecco – while we’re on the healthy track! This entry was posted in Recipes and tagged Brunch, easter, Food, healthy, Mimosas, Prosecco. Bookmark the permalink.